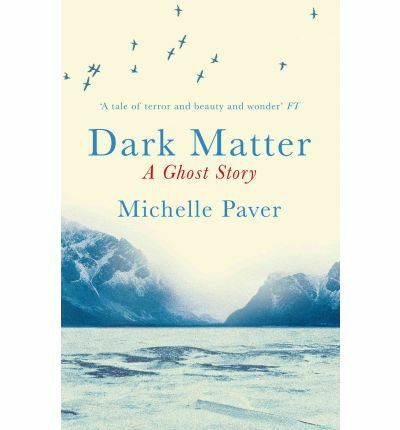 Dark Matter by Michelle Paver came to my attention earlier this year with lots of very good reviews and a big dose of creepiness. As the year wanes and the darkness draws closer, I thought it was a suitable read for the season. I don’t normally read scary stories because I’m afraid of horror but I’ve realised I don’t actually scare easily. And as many of you have said this was a very creepy read and it’s subtitled A Ghost Story, I gave myself the challenge of reading this and not just during day time. And it is a very creepy story. Paver sets her tale in the 30s, which I thought was a stroke of genius as it instantly removes you from the familiar but is close enough that you don’t feel you’re wading into historical fantasy. Jack is a middle class young man in his late twenties who dreams of being a physicist but is working in a job he hates due to the lack of funds. He answers an advertisement to join a scientific expedition to the Arctic and finds himself on a boat with three Oxbridge-educated, wealthy young men. The clash in class and personality is inevitable but a fragile friendship forms between the men as they venture into the stark and cold territory beyond Norway. As two of the expedition members have to withdraw, Jack, Gus and Archie, together with a pack of huskies, set up a routine to study and take readings of the arctic landscape. With miles of ice and sea around them, there is nothing in the bleak landscape as winter approaches and the sun disappears. But with the darkness comes something else. Something which the Norwegian sailors refuse to talk about, but something which Jack spies from the corner of his eye. Setting the tale in the arctic is already a pretty terrifying prospect. Nothing but ice and the cold and the dreaded winter where it is always dark. Paver does an admirable job in racking up the tension as cabin fever and being alone with no other human being nearby in total darkness slowly gets to Jack. Dark Matter is beautifully written, as stark as it’s setting and I found Jack’s voice to be authentic and in keeping with the period, a ghost story with a love story at its core. I would have liked to be scared a little more, but I think I’m in the minority here as many readers have found this tale terrifying. I’m usually in the minority too when it comes to being scared, but atmosphere is usually enough for me and it sounds like Paver provides tons of that. I almost read this for Halloween this year and am sorry not to have gotten around to it. But I’ll get to it sooner or later. You’ve got to read it when it’s dark and miserable. That’ll add more atmosphere! However, in Japan people read scary stories in summer to get a chill. Sounds like a brilliant creepy read. I love scary books even though, weirdly, I HATE scary films! I have to say I may be with you on this one. I get scared out of my wits when I watch horror although I seem to want to put myself through that every so often. But books are less scary and I find I enjoy reading horror! This one sounds creepy and I love novels of adventure in the arctic! The setting in this novel is amazing. There’s just something about the arctic that’s so alien, isn’t there? I read this last year and enjoyed it too, but like you it didn’t scare me as I had hoped. I loved the isolation of it all though. Me too:) Here’s hoping we’ll find a book that scares the both of us witless! I have been thinking about reading this one, but worrying it might be too scary for me – your comments about not being scared anough have reassured me. I thinkI’ll give this a try at some point! I think it will be fine, Jackie, although many have said they did find it scary. Looking forward to seeing what you think! Comes across like an interesting spin on the Heart of Darkness plot. Look forward to reading it!